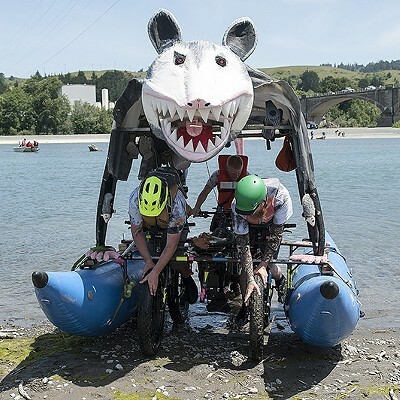 Team 420 Shark!!! 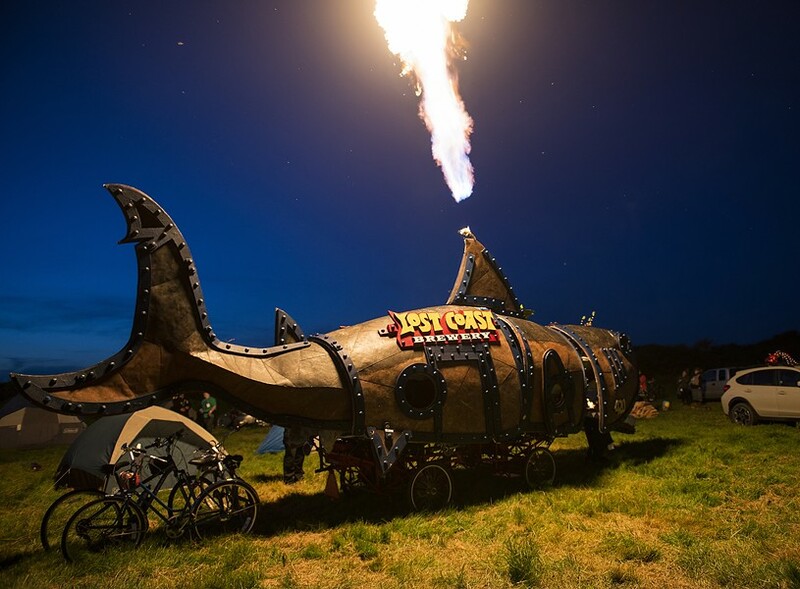 lights up the night sky. 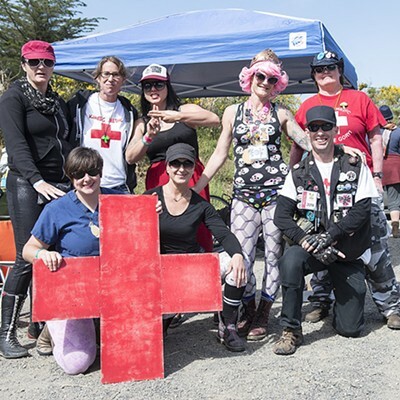 In the end, Team Tempus Fugitorium crossed the Ferndale finish line first for a thrilling third consecutive win. 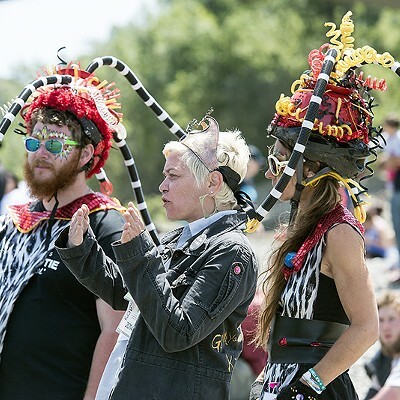 Time flies and so do they. 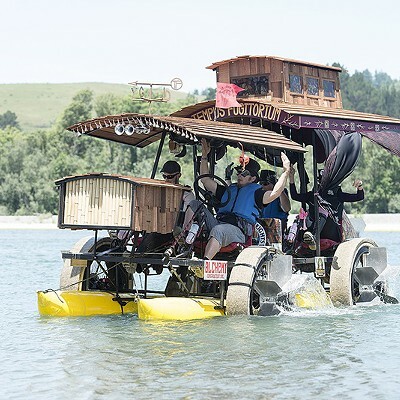 We tip our oversize steampunk hats to all who made it through the sand, sea, rough road and hellish hills. 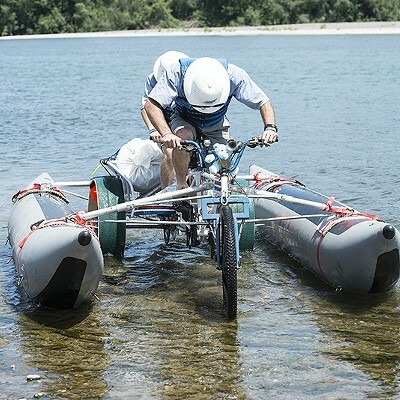 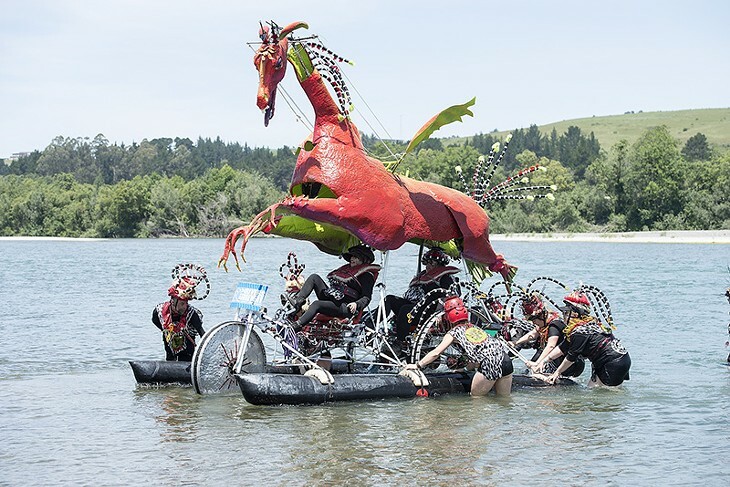 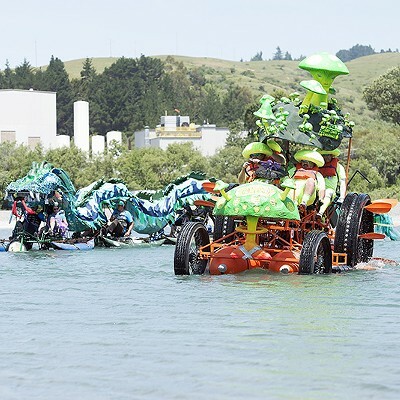 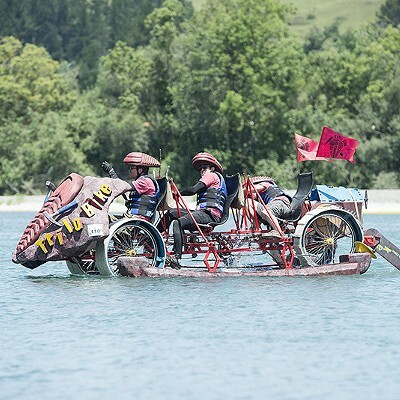 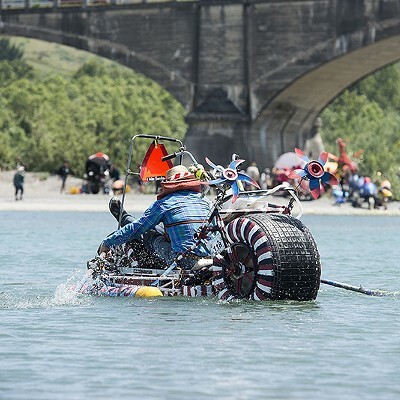 Today the sore and the sunburned rest — their battered contraptions stowed away until the wheels and axles can be cannibalized into new human-powered amphibious machines next year. 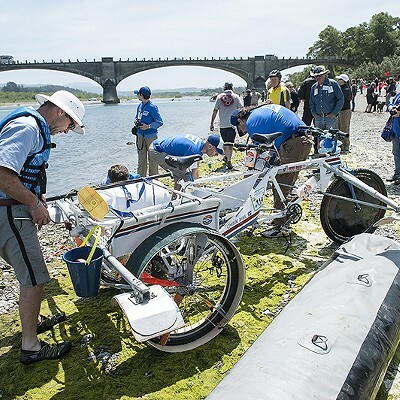 Relive Sunday and Monday's adventures on water and land in Mark McKenna's photos of the action below. 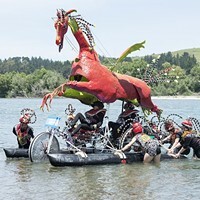 And may it inspire your greed for glory.